Well the barbecue season is in full swing and whether it is a family get together, summer community picnic or just a Saturday night meal at home, being able to cook and eat outside is a short-lived pleasure for us in Nova Scotia. Here are some basic food safety guidelines from the Healthy Canadians website for cooking , storing and serving food outdoors. Because harmful bacteria grow quickly in warm, moist conditions following these guidelines will greatly reduce the risk of illness and we can enjoy our summer plans. Keep perishable foods cold. Use a cooler filled with ice packs to store your food on the go. The temperature inside the cooler should be at or below 4°C (40°F). Keep the cooler out of direct sunlight and avoid opening it too often. Opening the cooler lets cold air out and warm air in. Using separate coolers for food and drinks will keep the food colder for longer because the cooler won't be opened as often. Marinate meat in the refrigerator or in a cooler filled with ice-- not on the counter. If you are using marinade to baste cooked meat or as a dipping sauce, make sure it hasn't come into contact with uncooked meat. Keep your raw meat, poultry, and seafood separate from other foods to avoid spreading harmful bacteria. Using containers or re-sealable plastic bags will help prevent leaks. Put raw meat, poultry, and seafood at the bottom of the cooler to keep juices from dripping onto other foods. Bacteria are killed by heat. Raw meat, poultry, and seafood must be cooked to a safe internal temperature to eliminate harmful bacteria such as E. coli, Salmonella, and Listeria. Use a digital food thermometer to check the temperature. Use a clean plate when taking food off the grill. Never put ready-to-eat or cooked food on a plate that was used for raw meat, poultry or seafood--wash the plate first. Keeping several sets of clean utensils, cutting boards, and plates on hand will help you prevent cross-contamination. Cool food quickly in shallow containers. On hot summer days, don't keep food at room temperature for more than one hour. For more information on food safety and summer food safety in particular click here -- and bring on the BBQ! My family loves bread. Breadsticks! Buns! Flatbreads! Rolls! Bread is perfect for every meal. For breakfast: toast, French toast, waffles and more. A nice hardy, homemade loaf to make a delicious sandwich for lunch! And for supper, garlic bread with your pasta! A nice wrap! 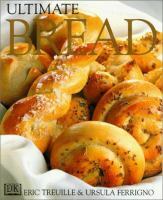 Maybe some biscuits or rolls with your soup; does not matter what meal, bread is a perfect accompaniment. Let’s face it. Those breads that you purchase in store just don’t stack up to a nice loaf of homemade bread. The sliced stuff you buy is too thin and when it is toasted, crumbles like sawdust. Let’s be honest, some of it tastes like sawdust. You can buy bakery bread. I’ll admit that I do. If I have not had time to bake, or decide my meal last minute, I will purchase a baguette or some rolls from the bakery at the grocery. It is not quite the same as homemade though. When you make it at home, you get to eat it hot out of the oven with a favorite topping (butter, peanut butter), or just plain and delicious. The house smells WONDERFUL! There are no preservatives in it so you don’t get an aftertaste in your mouth. I often make flour tortillas for homemade quesadillas. At our home, we end the week by making homemade pizza, starting with the homemade dough for the crust. We wouldn’t have it any other way. I found myself borrowing Ultimate Bread by Eric Treuille so often that I finally had to purchase a copy for my home collection. 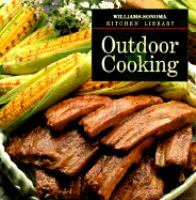 AVRL has two copies just waiting for you to borrow and try out the fantastic recipes. I also use Company's Coming : Breadsby Jean Pare. I have only mentioned two titles. However, the library has many titles to choose from. I should mention that making bread can be very therapeutic. A little irritated? Make some bread dough to knead and pound. You’ll feel better and you will have something delicious to eat. It's here! 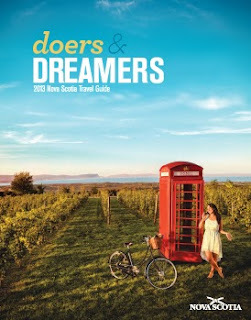 The Doers and Dreamers Guide for Nova Scotia is at your library. Each year we are more impressed with what our province has to offer. Whether you are driving, hiking, swimming, biking, sailing or fishing there is a unique spot in Nova Scotia that you have yet to discover. We don't have to go far in any direction to have an adventure and the provincial tourism website is a wonderful way to explore potential destinations . This is the spot to request your own copy of the guide, get maps of the scenic touring routes, check out the festivals and events. There is a live chat option and a travel helper. You can connect through all the social networks, Facebook, Twitter, Pinterest , etc. Check out our provincial parks for camping or just a picnic at parks.gov.ns.ca. Or if the idea of a B&B is more appealing order the Sea &Stay B&B locator map. So as the author notes in the following article "With curiosity, an open mind and a broad horizon of free time, it’s possible to travel in your own backyard ". Explore your neck of the woods this year. and website. We've partnered with local Active Living Coordinators to highlight some wonderful family activities for the summer. Parents can pick up a brochure when they sign their kids up for the Summer Reading Club, do at least 30 of the 60 activities, and then enter to win great prizes, including our Grand Prize which is a two-night stay at Mersey River Chalets. We've suggested places right here in the Valley that you can do these fun activities, but you can really do them anywhere. Just get out there and have some fun with your kids! 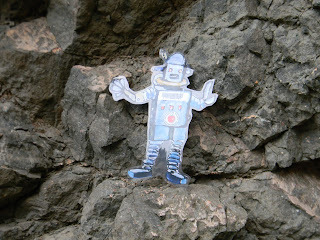 And take along a GoBot on your travels, and let us see where he's been.